From goodreads: If you’re looking for a story about a good, humble girl, who’s been hurt by someone she thought she could trust, only to find out she’s not as vulnerable as she thought she was and discovers an empowering side of herself that falls in love with the guy who helps her find that self, blah, blah, blah…then you’re gonna’ hate my story. This book was recommended to me and I was so excited because I’ve only read one other book by Fisher Amelie, Callum and Harper which I loved. When I took a look at this book and I saw the cover, I was “eh” about reading it and let me just say, LESSON LEARNED!!! Nevah judge a book by its cover…like evah!!! This book took me on the most beautiful heartfelt journey, it made me feel so many different emotions that I don’t think I can truly articulate my thoughts. I was immediately hooked from the first page and I was completely connected and invested in Sophie. I was moved. I was inspired. I was hopeful. I had so many different feelings and I loved every word in this book. Fisher Amelie writes beautifully and the story moves at a wonderful pace. I even loved the supporting characters in this book and notably my favorite being Pemmy and of course Spencer too. Fisher, if you can hear me…Spencer must have his own book because he has a heartbreaking story waiting to be told!!! No pressure. There’s never a dull moment and when Dingane (a.k.a Ian) is introduced…be prepared to swoon ladies!!! He’s not perfect but he’s wonderful, thoughtful and kind, everything a man should be. The romance that grows between Sophie and Dingane is slow building, incredibly gentle and intimate. Make no mistake, there is nothing slow about this book but Fisher takes her time in creating the relationship and she provides just the right amount of the push and pull to make it perfect. I could sit here and write one big long article on what this book is all about but I won’t. All you have to know is…if you are searching for romance, this is your book. If you want to be moved, this is your book. If you want moments that will inspire you and take you on an exotic journey, this is your book. My final two cents: Don’t wait to read this book…it should be #1 on your TBR!!! I bought this book tonight, just before I saw this review. I’m starting it after Up to Me!! I totally loved it!!! Like a lot! I love love love this book! Fisher’s books always make my heart and she has completely outdone herself. Wonderful review!! I love this book but seriously, Spencer needs his own book!!! PS: thank you! 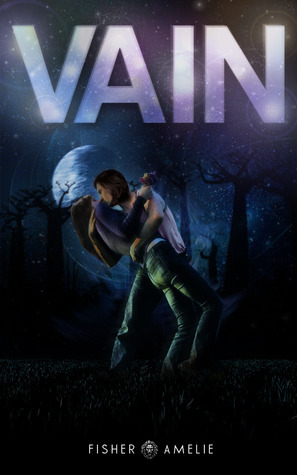 Finished Vain last night!! WOW! Your 5 star review is well deserved! I’m so glad you loved it!!!! Such a great book!